Counter Future – A Sound Exposure Vol. 3 – Vinyl Release Out Now! 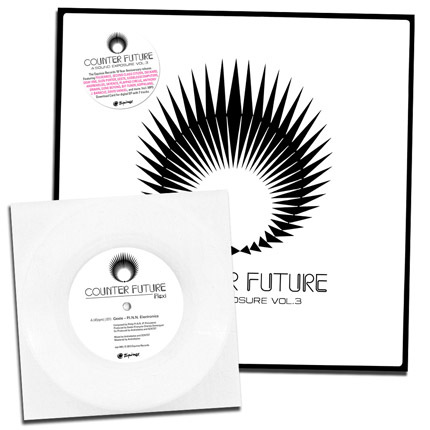 Finally, the vinyl version of the “Counter Future – A Sound Exposure Vol. 3” is available. The multifold cover looks really awesome and we are very happy with the look, feel and sound of the album! We think this is one of our strongest releases and we hope that you will like it! 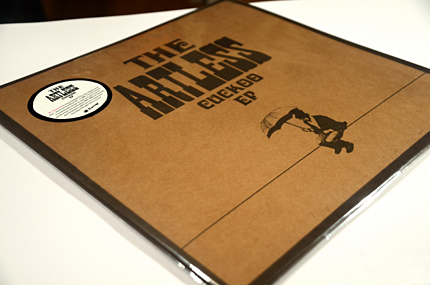 The triple vinyl release features 2econd Class Citizen, Andreikelos, Anthony Drawn, Bit-Tuner, Bombers of Consciousness, David Vangel, Dday One, Deckard, Fulgeance, Geste, Glen Porter, Godblesscomputers, Gone Beyond, Graciellita, Haunted Days & Witch’s Teat, J. Baracuz, Kopfklang, Playpad Circus & Skyence, while the 21 Tracks were selected and compiled by DJ Scientist. Please check the pictures and soundfiles of this release below. Of course, other shops like Vinyldigital, Optimal Records, Oye, and others will have the release available too, or will have it available shortly. Most of you know the basic meaning of the name „Equinox“, right? 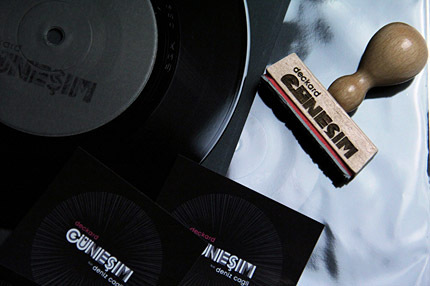 Therefore you know that June 21st (past Friday) was the beginning of summer but it was also the official release date of the Counter Future Flexi Disc that features a dope and brand new remake by Geste of a track from 2002 entitled “P.I.N.N. Electronics”. To celebrate this a bit, and considering the fact that the original tune had inspired the sound of the first “Sound Exposure” compilation, we decided to make this a free download! The flexi disc is available together will the triple album (sorry again for the delay caused by the pressing plant!!) and some copies are given away through blogs and websites (see older posts). 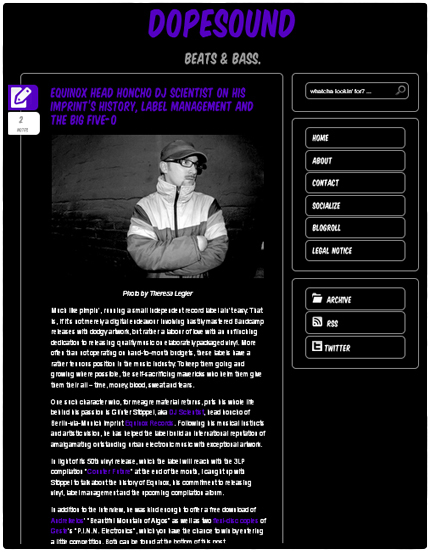 It is limited to 250 copies and additionally comes with a download card with remixes by Starflyer, Kopfklang and Paulie Jan.
With a slight delay, as we had promised earlier this week via our facebook page, here’s the extensive interview with the label’s founder DJ Scientist, on the DopeSound blog! “Much like pimpin’, running a small independent record label ain’t easy.”, as the author says. Also don’t miss the FREE DOWNLOAD by Andreikelos as well as the contest to win copies of the specially designed flexi discs by Geste﻿ from the Counter Future series! More info about that in the interview! David Vangel – I Heard You Sing Video Out Now! 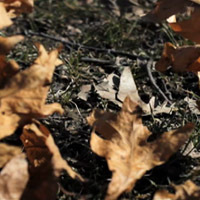 Today we proudly present the second video for the “Counter Future – A Sound Exposure Vol. 3” compilation! Many thanks to Rahoul Mitsa for shooting and editing. The track, “I Heard You Sing” by Canadian beatmaker David Vangel is a very beautiful, yet quite unusual one. With the sampled Gregorian chorals it bears a very unique “baroque” feel, which mixes so well with Vangel’s trademark drum sounds and production. We hope you like it as much as we do! You can download the release on iTunes, Bandcamp, Beatport, Juno & many others. Counter Future – A Sound Exposure Vol. 3 – Digital Pre-Sale Out Now! Today, we are happy to announce the digital pre-sale release of the “Counter Future – A Sound Exposure Vol.3” compilation! This great project, that we’ve been working on for a long time, is finally taking the first step before the great leap which will take place on May 31 with the release of the triple Vinyl release! You probably missed our Facebook post yesterday that Godblesscomputers‘ video for the track “Romania” has been premiered via the French Vibrations Mag! It’s another awesome animation film by Simon Walter (who was responsible for last year’s “Change” video for 2econd Class Citizen), this time together with Ben McCarthy. 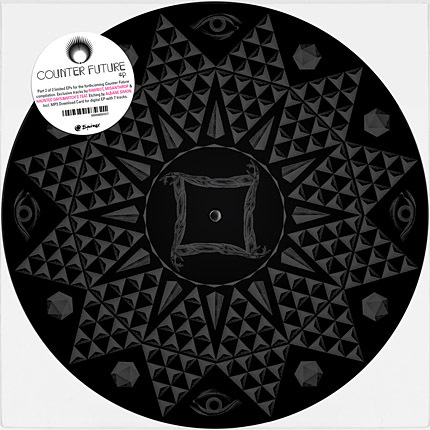 Counter Future EP – Vinyl Releases Out Now! Today, we are happy to announce the release of the Counter Future EP on two very special 12″ vinyl versions! As we have announced, the Vinyl version comes in 250 limited copies of two one-sided 12″ vinyl records with etchings designed by CONE & Albane Simon on one side, making the medium itself as special as the recorded music on it! For those of you who have pre-ordered the records, we are happy to inform you that they are on their way! Of course, other shops have the release available too, or will have it available shortly. See selected shoplinks below. 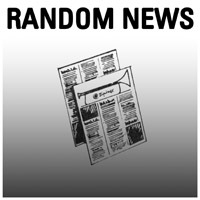 Greetings and welcome to Random News #10. We’ve “missed” a couple of issues due to a great overload of work, and yet, some things that should be included on this issue may have passed our notice, but this is only natural since we are currently working on the “Counter Future” project which is our biggest so far and consists of 2 12inch EPs, a 3LP full length album, a flexi disc release as well as some other stuff. Staying with Godblesscomputers, we’d like to share the news of his brand new remix release on Fresh Yo!, named “Lost in downtown (The Beastie Boys re​-​works)” and, as appears on the title, this release includes 7 amazing classics by the Beastie Boys as re-worked by Gbc. This is set to a “name-your-price” deal which means you can get it for free if you type zero (0). Though, we highly recommend that you support the artist and label. *This is written in German, but we tried it out and it works (almost) perfect with Google’s translator. So… That’s it for now. Thanks for reading and if we’ve missed anything that should have been included, please send it in and we’ll include it on our next issue. 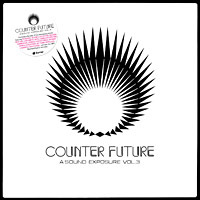 Counter Future – A Sound Exposure Vol. 3 – 3LP + 7″ Flexi Pre-Order! The normal edition is a triple vinyl multi gatefold sleeve, while the deluxe edition additionally comes with a very limited bonus flexi disc with a track by Geste (more info about that soon!) as well as a poster. Last but not least we have prepared the first of two preview mixes for the album. This first snippet contains tracks from the first half of the album by Geste, Godblesscomputers, Fulgeance, Skyence, Andreikelos, 2econd Class Citizen, Playpad Circus, Glen Porter and Haunted Days & Witch’s Teat. Please share it if you like it! The album features 21 tracks in total, including additional tunes by Dday One, David Vangel, Kopfklang, Deckard, J. Baracuz, Bit-Tuner and more. We hope that you agree – after listening to the snippet mix – that this is an essential Equinox release and shouldn’t be missed in your collection. 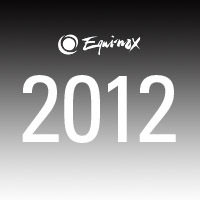 We think that it captures the sound of Equinox to the fullest in many of it’s facets and hope that you will all like it! The album release is available separately, but also as a nice Bundle Version which for a better price! Please note that these are ultra limited (250 copies each!). Playpad Circus – Maria Parhuzam Video Out Now! 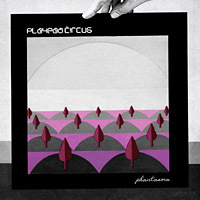 We are very proud to release the music video for Playpad Circus’ amazing song “Maria Parhuzam” via Youtube today! 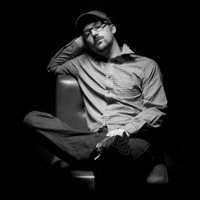 The video was directed by Jander Voigt who has done an awesome job! 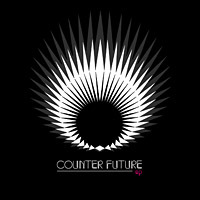 Counter Future EP – Digital Release Out Now! And so it begins: The biggest project on our label officially starts today with the Digital Release of the “Counter Future EP”. 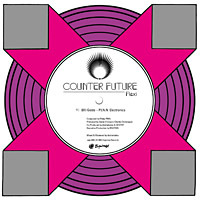 It’s the first preview (or should we say a “kick start”) to the upcoming “Counter Future – A Sound Exposure Vol. 3” album which will drop at the end of May. 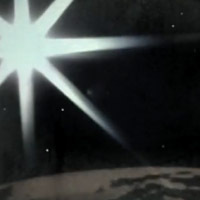 This preview EP introduces the project as a whole. The digital version of the EP includes 7 tracks, of which 6 are exclusive. 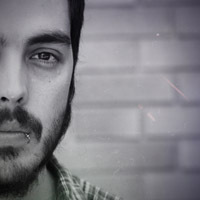 The amazing “Scars” by Skyence will also be featured on the album. However, the original extended full length version is only included on this EP. Below you can find a preview track of the EP as well as the tracklist and shoplinks for the Digital Version. The Special Vinyl Versions (to be released in 2 parts) will follow shortly, dropping on May 6th. 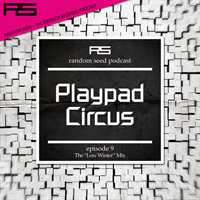 As we still wait for spring’s arrival here in cold and snowy Berlin, Equinox artist Playpad Circus provides the “low-winter” mix episode for our Random Seed Podcast series (#9). It features a great selection of smooth electonica tracks, perfectly mixed together, providing the audience with the necessary “warmth” needed until these last cold days are finally over. Enjoy this and share if you like! 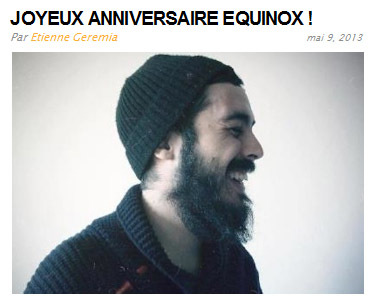 Equinox Records / Random Seed. For any comments, suggestions or requests please contact us. Counter Future EP – Limited Etched 12″ Bundle Pre-Order! Today we’d like to announce two exciting vinyl 12″ releases on our label. These are Part 1 and Part 2 of the Counter Future EP. 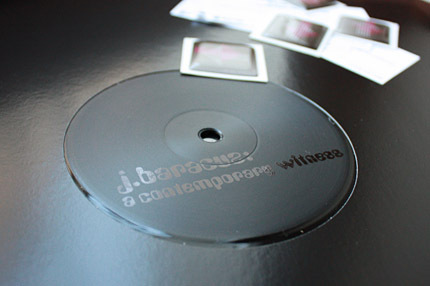 Both vinyl pressings have one audio side and the other side is beautifully designed with a lasered etching. Part 1 (eqx-047) features Godblesscomputers, Skyence & 813. On Part 2 we have Rawbot, Misanthrop and Haunted Days & Witch’s Teat. The digital EP, which will be delivered as a Download Card, additionally features a great tune by Bit-Tuner. 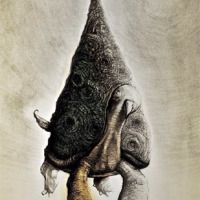 The etchings were made by CONE (The Weird) and Albane Simon (DyN). Both vinyl releases are available separately, but also as a nice Bundle Version which for a better price! Please note that these are ultra limited (250 copies each!). DJ Scientist – Soviet Rare Groove Mix on Ninja Tune’s Solid Steel! We are proud to announce the release of the brand new episode of Ninja Tune‘s Solid Steel Radio, this time selected, mixed and provided by our very own, DJ Scientist! What makes this mix truely unique is DJ Scientist‘s obsession to find and use only the rarest grooves for his mixes. Grooves that might even take years to find and finally put together in a mix. Specifically, on his Solid Steel mix he selected music solely recorded from former Soviet Union releases. “It’s the most dedicated mix I have done so far as it solely features music from the former Soviet Union which took years of research.” (DJ Scientist). For complete info about this mix, please read the Press Info below the soundcloud player. Solid Soviet Steel Radio (SSSR) is a special guest mix for Solid Steel by DJ Scientist that solely features music from the former Soviet Union. The dedicated record collector, disc jockey and label owner from Berlin managed to unearth and put together an extensive and fascinating selection of tracks from countries like the Ukraine, Azerbaijan, Georgia, Moldavia, Russia and more, resulting in one of the most exciting and unique music adventures you may have heard in a while. More than that, to make it even more special, this first lesson in a series of other Soviet mixes by DJ Scientist is dedicated to tracks by so-called VIA bands. VIA is an abreviation for Vocal Instrumentalis Ansamblis or Vocal Instrumental Ensemble which was basically the synonym for pop groups in the Soviet communist states throughout the 70s. Many of these groups managed to create their own kind of sound, mixing western styles like Jazz, Funk and Rock with traditional music from their own countries. For example, very unique vocal harmonies can be heard in VIAs such as Iverya (Georgia) or Gaya (Azerbaijan). The mix starts with a deep and slow psych part, coming up with more funk-laden Soviet grooves and killer instrumental breaks. With some editing and dj-skills applied, the mix becomes a must listen for rare groove aficionados and music lovers alike. Essential listening guaranteed. All tracks have been recorded from original vinyl from the Soviet state label “Melodia” (Melody) and have been mixed and edited with Serato Scratch Live and Cubase. Special thanks to Tom Sky of Black Pearl Records (for Bayan Mongol) and Sven Cosmique. The track “Tiflis” by VIA 75 was used from a wrongly pitched mp3 version downloaded via sovietgroove.com as the available flexi disc version was of weaker quality. Some of the bands appearing in the mix cannot clearly be labeled as VIAs. Rero for example usually was an instrumental group and has been called “Variety Orchestra”. However, on the track “Come Outside” they play together with a vocal group. Technically speaking, the famous “Rude-Paparude” by Maria Kodrianu is not a straight VIA track too, as Kodrianu was a well known solo singer from Moldavia. However, here she is backed by one of the funkiest grooves, played by a VIA that was lead by A. Mordkowicha. The artwork is taken from the cover of the Soviet youth magazine Krugozor issue 11/72. 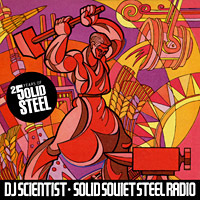 On March 15th, DJ Scientist will release a special guest mix for Ninja Tune’s Solid Steel podcast entitled “Solid Soviet Steel Radio“, a mix that will solely feature music from the former Soviet Union. 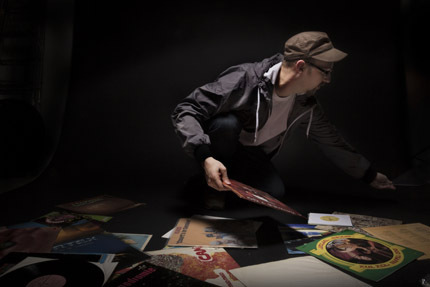 The dedicated record collector, discjockey and label founder of Equinox managed to unearth and put together an extensive and fascinating selection of tracks from countries like the Ukraine, Azerbaijan, Georgia, Moldavia or Russia, resulting in one of the most exciting and unique music adventures you may have heard in a while. As you may have heard, 2econd CLass Citizen is hitting the road this spring, touring Europe alongside the legendary producer Glen Porter (Content, Project: Mooncircle, Ooohh! Thats Heavy). Furthermore, 2econd Class Citizen will be joined by Kevin Matthews and they’ll be performing as The 2econd CLass Citizen Project. Bellow, you’ll find information and currently confirmed dates but, before you do that, take a moment to watch this nice promo video about the tour. This spring, Glen Porter (Project: Mooncircle) and 2econd Class Citizen (Equinox Records) will be touring together in europe. With the help of ableton, an electric guitar, korg padcontrol, and a novation launchpad Porter recreates his ferocious dread fueled guitar-bass-drum-driven instrumentals. Using crisp and snappy beat thunder augmented by shuddering layers of tremolo-laden guitar twang Porter takes you on a journey through surf/psych/prog/folk beats drowned with wailing guitars and volcanic drumming. 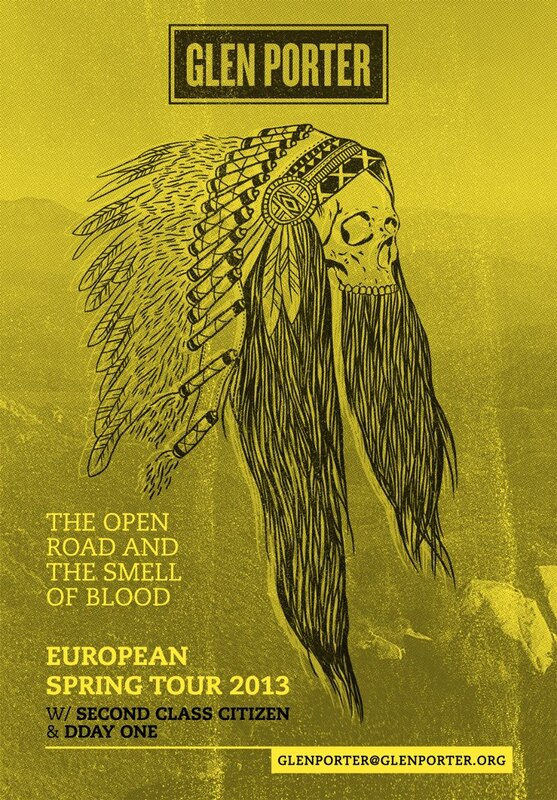 Set sail deep into the psyche of the “one-man-band”, Glen Porter, in his set for “The open road and the smell of blood” European tour spring 2013. 2econd Class Citizen (Equinox Records) has been keeping listeners spellbound with his unique psych/folk/hip-hop fusion for many years. Now he’s joined by Kevin Matthews a multi instrumentalist and keys man with a classical background and a love of many other styles from jazz to d&b for part 2 of The Small Minority tour. featuring music from his two albums both of which recieved favourible reviews from many well respected artists and reviewers alike. This project draws on Kevin’s musical skills and Aaron’s intuitive and astounding song building wizardry – expanding the sound in a truly exciting fashion. We hope one of these shows will be near your area because we are most certain you will love it. If not, don’t worry. You might still have a chance since more tour dates might be added soon! Today, we are happy to share the video for a different and very exciting version of 2econd Class Citizen’s classic tune “On Emptiness“. 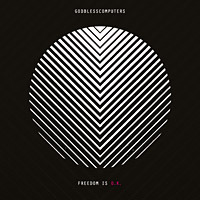 This new version is entitled “On Emptiness, The Endless Orbit” and features Kevin Matthews on the piano. The result brought by this collaboration is overwhelming and can easily be described as what we call “organic/electronic” sound. As for the video, it is made by 2econd Class Citizen himself. Another aspect of his vast creativity. 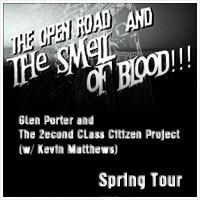 Furthermore, both 2econd Class Citizen and Kevin Matthews will be touring Europe alongside the legendary producer Glen Porter this spring. More info about the tour will be posted soon. Be on the lookout! To all booking agents and promoter out there… If you want to include your city on the tour’s schedule, you still have some time as there are a few dates available. 2012 has probably been our busiest and most succcessful year in our label history. We have added some great albums, EPs and singles to our catalogue and we want to thank all fans for the support. Especially those that are still buying vinyl releases, which is still our main focus. 2012 started with DJ Scientist’s very limited “The Artless Cuckoo EP” (eqx-034) as well as 2econd Class Citizen’s “Perception / Identity” postcard set (eqx-035). Following the official video of Deckard’s “Günesim” we also released the second part of the Black On Black Vinyl Series, a limited 7inch of the song with new remixes by Anthony Drawn and Deckard himself (eqx-036). 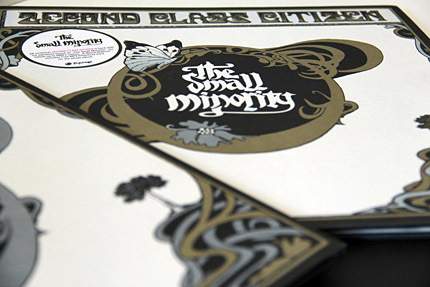 Then, in April, we were heading straight forward with our biggest project this year: the release of 2econd Class Citizen’s long awaited second full length: “The Small Minority” (eqx-038). The album was first introduced by a really cool single entitled “Outside Your Doorway EP” (eqx-037) that featured remixes by Dday One and Buddy Peace and had a lot more exclusive music on it. The album then followed in late may – a masterful project with astonishing music and great artwork. Another highlight followed with Andreikelos’ debut EP on Equinox, the third part of the Black On Black Vinyl Series, “Euryphaessa” (eqx-039). Although being a very limited underground project the reactions to this release were quite overwhelming – a really outstanding piece of electronic music. Staying busy throughout the summer months, Misanthrop & Aqua Luminus III. delivered heat with the follow up to their Audiac release “Leinwand” in form of the “6 Years Later EP” (eqx-040). The 10inch single featured 6 beat-heavy songs, including a phenomenal rap track with Ceschi, 2Mex and James P Honey. Then we were heading towards “For Better, For Worse” (eqx-042) by label owner DJ Scientist, the second biggest project on our label in 2012. The digital advance single of the classic tune “Raincoatman”, which came along with a great new remix by Andreikelos was well received and so was the album. Almost being sold out just 3 months later, Scientist’s masterpiece, that was original scheduled to be released in 2006, finally had its well deserved late release. The first copies of the album came with a super limited 7inch single (eqx-043) which featured an unreleased track by Julius The Bearded Saviour (aka Ceschi), produced by The Raincoatman (aka DJ Scientist). So what’s to come in 2013? The compilation will come along with some ultra limited special advance releases such as a one (or maybe two) one sided, etched 12inches and 1 or 2 more exciting vinyl goodies that you don’t want to miss. Definitely stay tuned via our social media pages and our homepage. As far as our 10 Year Anniversary, which were are celebrating since december last year, you should also check some of the pictures that we have released via our Facebook page. You can see some never released photo material about artwork concepts, early events and designs. Thanks for reading! Let’s make 2013 another great year! A special 2 x Vinyl Postcard release is available via Cooler than Cucumbers Records (Paris) featuring the Artwork of Parisian Collagist Albane Simon. 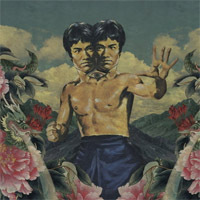 Offered as a Free Download, it includes 2 diverse sounds, short & simple: “Cool Day Bruce Lee”/”Cause I Dropped Him”. The first track hits with horns & a laidback Jazz vibe, as where the second track presents a more boom-bap likeness with strings that sing. Long time, no… seed, one can say, but hey!.. here we are, at it again! On this new episode (#8), which is also our first episode for 2013, DJ CanNikZ from Germany, who also provided us with episode #3, re-appears on the series with a great vinyl only mix that blends mostly classic, well known tracks, alongside some fresh underground tunes. The result is a really smooth mix, an almost 70 minute aural seduction which we are sure you will enjoy! So, sit back and enjoy this amazing trip! And don’t forget upon your return to share the experience with your friends by spreading the word! If you want to contribute a mix to our podcast series please use the Equinox Records dropbox via soundcloud.com/equinoxrecords and upload a file of your mix. Otherwise you can get in touch with randomseed @ e-q-x.net. The length of the mix should be at least 20 minutes and should contain good music, mixed well and tight. The mix also has to be exclusive for our series. For any comments,suggestions or requests please contact us.